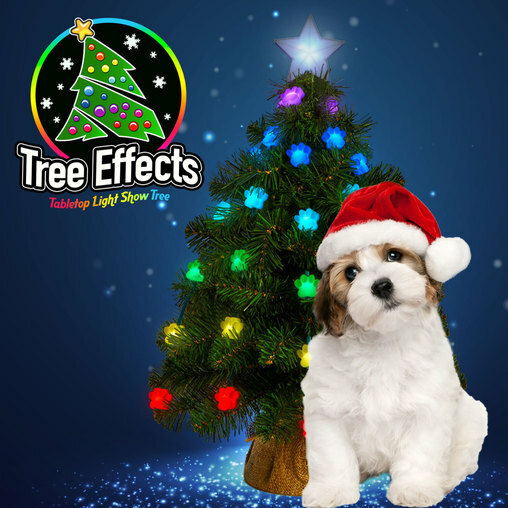 Tree Effects Tabletop Light Show Tree With FREE Pet Paw Caps! You are here: Home / Great Deals / Christmas Deals / Tree Effects Tabletop Light Show Tree With FREE Pet Paw Caps! Tree Effects also features changeable light caps. You can replace the included mini-snowflakes with new shapes like stars, pumpkins, or pet paws, for different holidays or themed looks. For a limited time get a FREE Pet Paw Caps when purchased with Tree Effects. Discount applied at checkout.